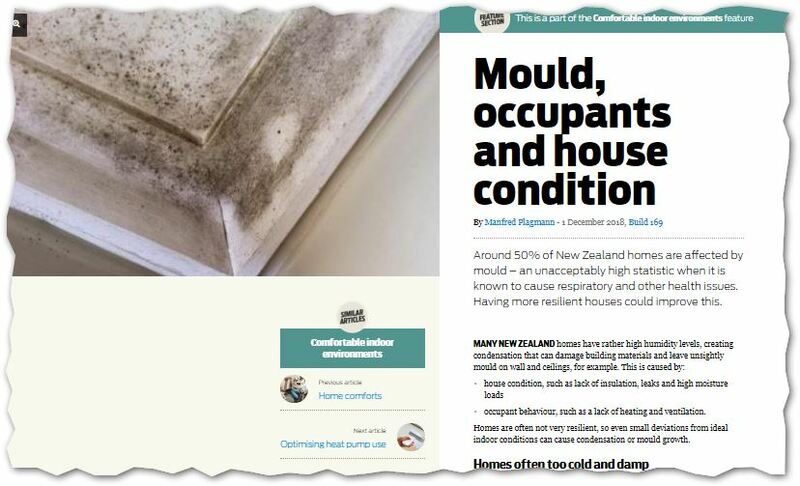 2018 December 01 Build Magazine’s Manfred Plagmann: Mould, occupants and house condition | Sustainable Engineering Ltd.
Air control layers are critical to warm healthy homes. Paying for a second brand new roof on a building should not be common to homes or commercial buildings. More ventilation can help with controlling moisture under the roof cladding but if there is no air control layer at all in the ceiling ventilation is not always enough. “We have recently been called to new homes with massive moisture and mould problems in the attic where the roof cladding had to be taken off to remediate the damage.